The U-M Bioinformatics Graduate Program, established in 2000, currently has 2 NIH-funded Training Grants. This program is highly interdisciplinary and involves many different schools and departments across the U-M campus. The program is led by co-directors Dr. Margit Burmeister, Professor of Psychiatry and Human Genetics and Dr. Maureen Sartor, Associate Professor of Computational Medicine and Bioinformatics. Information about registration, grades, course requirements, and other guideposts while making academic progress can be found in the Bioinformatics orientation booklet, which is updated annually. The Doctoral Program’s objective is to prepare students for careers in teaching and basic and applied research. This preparation will emphasize basic molecular biology and advanced quantitative methods applicable in biological research. These quantitative methods take advantage of many emerging mathematical and computational models of biological phenomena. It is anticipated that graduates of the Ph.D. Program will find rewarding careers in universities, medical schools, research institutions, and industries old and new, such as the pharmaceutical industry or scientific software development. The Master’s Program prepares students for a wide range of consulting and applied research positions in industry, government, and academia. The Master’s degree also offers outstanding training for students who may be interested in pursuing a Ph.D. but feel that they are not quite prepared (for example, when returning to academics after a period in the work force). A Master's in Bioinformatics can also be obtained by taking the appropriate courses while pursuing a Ph.D. in another program at the University of Michigan and a dissertation chapter is bioinformatics related. The Accelerated Master’s Degree Program is for interested U-M undergraduates of junior standing. 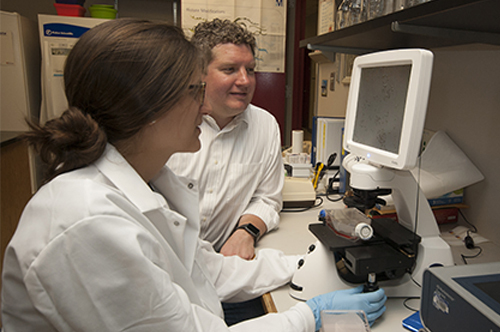 Participation allows students to receive both an undergraduate degree in their home program, plus a Master's in Bioinformatics, in five years. Bioinformatics is a modern interdisciplinary field using computing, mathematical modeling and/or statistical analysis applied to biological or medical data. This is a growing field with potential for academia, the pharmaceutical and biotech industries, and hospitals. With increasing electronic health records, multiple bio-marker and genetic data sets accessible, a Master's in Bioinformatics is also useful training for future physicians.